Facebook’s introduction of clickable hashtags was music to the ears of many marketers. Hashtags have been a great tool for promotion and discovery on other social media networks, and the feature’s appearance on Facebook means that brands have new options for how they present material to their fans and followers. We recently shared a behind-the-scenes look at how three marketing experts planned to integrate hashtags into their Facebook strategies. Here, we’ll look at a few concrete examples of companies that jumped on the hashtag bandwagon with success. On any social media network, hashtags are a great way to generate buzz for your marketing campaign. Starbucks moved quickly in response to the availability of Facebook hashtags to add another outlet for promoting its “Treat Receipt” deal. The deal offers discounted drinks in the afternoon to customers who present receipts for purchases made during the morning. 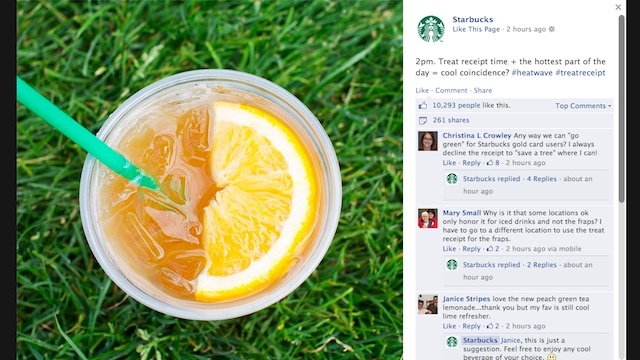 Starbucks announced the deal with several status posts tagged with #TreatReceipt. Starbucks has also been smart about coupling its promotional hashtag with other timely tags. One of the latest status updates referenced the warm weather by adding #heatwave to the announcement about the ongoing Treat Receipt campaign. With very high temperatures this summer across the U.S., participating in a broader conversation is a good way for the national brand to stay relevant. Brands also shouldn’t feel limited to one hashtag push at a time. The #TreatReceipt tag is a way to generate buzz about a month-long event, but Starbucks has been using other ongoing hashtags. For example, it has encouraged fans to let their artistic sides loose by sharing images of the brand’s cups and straws with the tag #strawesome. This is a casual campaign across all Starbucks’ social profiles that doesn’t need a heavy volume of posts from the brand and can continue at the same time as the hashtags for a specific event. Make sure your brand walks the line in hashtag use so that your fans aren’t overwhelmed without letting your official Page look like a one-trick pony. 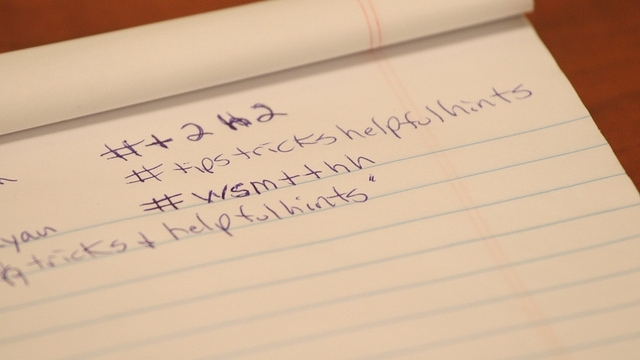 Even one-time events can get a major boost in traffic with smart use of hashtags. Major League Baseball (MLB) prepared for its annual Home Run Derby and All-Star Game with a social media strategy that gave fans a chance to connect with each other and with players. Not only was the MLB program designed to keep fans in the loop, but it gave them a chance to hear from the players in the middle of the action. According to a news post by the league, the players with Twitter accounts could access computer stations on the field to tweet during the Derby. Combined with regular tweets and Facebook posts labelled with the #HRDerby tag, this campaign helped share conversations about the event across networks. 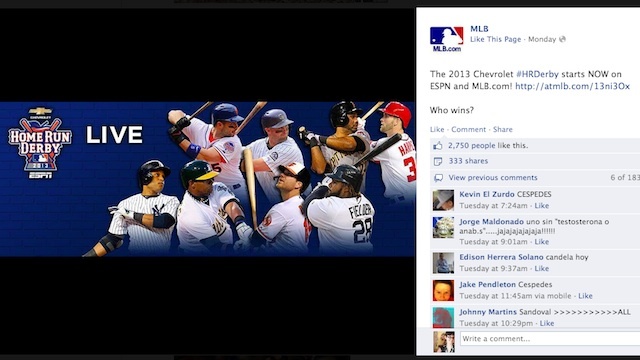 Other MLB Facebook Pages, such as the MLB FanCave and official team Pages, encouraged their fan bases to get involved by posting their predictions for the Home Run Derby winners across both Facebook and Twitter. It was also a useful way for news outlets to make their coverage available to curious readers. To make sure people know to include your hashtag, brands should be certain to spread the word in advance of an event. Picking a short, easy to remember phrase will also guarantee that fans can tap into the conversations. Keeping your hashtags consistent across social platforms also makes it easier for you to internally track what’s being said among followers. 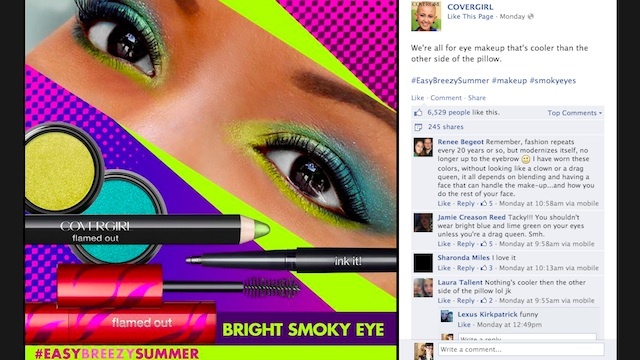 Cover Girl has used hashtags to get fans and experts talking about its products. The campaign for the season is #EasyBreezySummer. By attaching the tag to so many facets of Facebook, Cover Girl can reach a wider audience for the promotion. For example, the company hosted a pop-up party before the Premios Juventud award show in Miami. The event description and title were included the hashtag. In more mundane uses, the company had some of its spokeswomen and affiliated makeup artists post about the summer line of cosmetics. Some fans shared those official updates, further expanding Cover Girl’s audience for the program. Whether it’s for a big event or a casual mention, hashtags can be a great way to highlight your brand’s partnerships and relationships. Have you seen other great Facebook hashtag campaigns? Let us know in the comments!